Certification is an important legal authority that enables the labeling machine to operate in the packaging industries worldwide. Certification enhances maximization in efficiency in packaging industries hence leading to increase in productivity and returns. 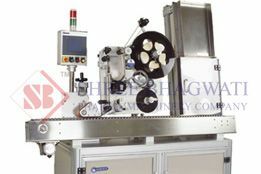 A certified labeling machine extends the products shelf life as well as improving the aesthetics value of the packed products as it ensures the quality and standard are meant. The certification restores the confident and trusts in the packaging industry which includes: reduction in cost of production, cost effectiveness, durability and hygiene and health. There is great significant of the certification of the labeling machine and every manufactures and suppliers globally needs to have it. There are several benefits that manufacturers and suppliers enjoy from certification which includes the following: It restores trust and confident to the customers leading to opening up of new market globally. Through new market the manufacturers and suppliers are able to increase their profit and productivity. Manufactures and suppliers are able to produce labeling machine that are high quality and meets the international standards and approved to be used in the packing industries worldwide. Through certification the manufacturers and suppliers are able to integrate the existing international law and Europeans regulation. They ensure that the labeling machine manufactured is within the regulations. This increases the demand as well as opening new market globally. 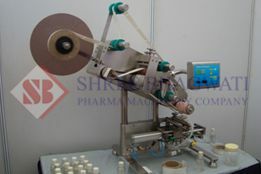 Why Need Certification for Label Applicator? There are great needs of using certified and accredited label applicator is the express ticket towards success in packaging industries. Certification increases competence and consistently. The clients are able to acquire adequate information and mechanism mode of operation. Through certification the label applicator are able to conform to the international regulation hence increasing demand in the market globally. The certification boosts the manufacturing and suppliers industries as their products are highly recognized worldwide. 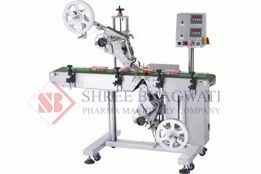 Labeling machine that are certified and accredited is of high quality standard and the right of customer protected. They give trust and assurance to the client that the product offered by the manufactures meet and abide with standard international rules and regulation. They offer guarantee that the outlined features and description by manufactures are real and packaging industries can rely enjoy durable services from the labeling machine that is effective. Important of the Certification of the Labeler in Packaging Industries. The use of the certified labeler in packaging industries is very vital for the both manufacturers and consumers. They ensure quality, simple and flexible, durability, transparent, presentable, biodegradable, and healthy and safety of the packed goods. Quality certification aids in ensuring efficiency, originality, creativity, innovative and quality international standards of the top labeling machines. Through the certification labeling machine are able to meet and conform to globally regulations that are put in place. The current trend labeling machine has adopted new technology to incorporate the new demand internationally. There are numerous benefits which one can acquire which include: durability, high speed, quality, effectiveness, durability and hygiene and health that overexert the cost of purchasing labeling machine. ISO 9001 & ISO 14001. Certify the labeler manufacturer and labeling machine in ensuring that the quality and customers right are not violated. International regulation laid down in controlling manufactures in the food and pharmaceutical packaging industries to ensure they meet the international standards. Regulation and procedures that are laid down in ensuring the safety of the product. The certification labeling machine gives trust, confident, assurance and guarantee to the packaging industries. The quality offered meets the international requirement and regulation which have increased productivity and maximizes returns. Through certification the customers are able to enjoy the services that are associated with the use certified labeling machine.